A number of regretful Melbourne newlyweds have warned others to ‘do their homework’ before hiring a wedding photographer, after dealing with a photography business which failed to deliver packages and has now filed for bankruptcy. Seven News says dozens of brides have experienced continuing problems with Bokeh Photography. Tess Lewis, a bride whose wedding was in February, said she only received a single photo from the day. Promises to deliver the $1200 package, consisting of prints and albums, have failed. A ‘random photographer’ came to capture the wedding, rather than Bokeh Photography owner, Laura Hoskin. 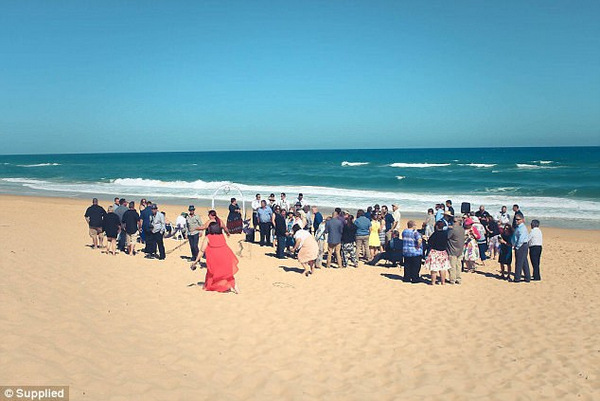 Another bride had the same experience, and was handed bizarre photos of a paddock, a house number, and other amateur random shots not in keeping with professional wedding photography. One of the better photos supplied to the Daily Mail. Source: Daily Mail. Other brides-to-be, who have paid deposits ahead of their special day, sought refunds prior to the bankruptcy, after it surfaced Bokeh Photography has a tendency not to meet clients’ expectations. Hoskin, who was approached by a Seven camera crew at her home, said she was a ‘small business and it has gone wrong’, but added that ‘everybody is going to receive their photos’. Wedding photographers failing to meet a client expectations, and in some instances leaving them without photos, has become more frequent in the industry. This is partly due to accessibility and simplicity of camera gear and the ease of online marketing, which has allowed amateurs, or even qualified photographers who simply don’t know how to operate a business, to compete with more business-like studios. Bokeh Photography Melbourne offered ‘affordable’ photo packages from $800, less than the average cost of a wedding photographer, ranging up to just $1800. Hoskin marketed the business on Facebook, and successfully built up a following of 7400. It did not have a website. A Facebook description says it opened in 2010, but posts suggest it began operating in August 2016. However, an ABN was only registered last month, Daily Mail reports. Hoskin was also not an AIPP member. According to newlywed Tess Lewis there are about 15 to 20 angry clients who have exchanged their bad experience with each other. I am one who has lost an $800 deposit! Laura took my money knowing that she would be filing for bankruptcy a month or so later!!! 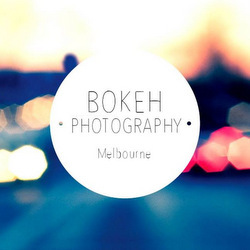 I had given bokeh photography Melbourne (Laura) a down payment of $600 for a $1200 service…. she wrote to through Facebook and said she will definitely have a photographer at my wedding. Now I find her Facebook account has been deleted and she’s not returning my emails. I don’t know what to do… the wedding date is coming closer and we can’t afford to shop around for another reasonably priced photographer for our wedding. It’s truely unfair what has happened to me and other wedding couples. i am one of those that had laura booked for my wedding and found out that she has gone bank rupt. Is there any way i can get my $400 deposit back? Does anyone know how to recover these funds we have paid? Did anyone find out any more information? she didnt even bother emailing me to let me know she was closing down and i have just now found out with 3 week to go until my wedding. I want my damn money back I am so pissed off! This is still going to this day.. She just keeps changing her business name and HER name and the cheek of using the burnt brides photos on her “new” business marketing. There must be some way to stop this. There’s 100s of us affected by her!!! She did it in Perth, Melbourne and now trying Sydney.